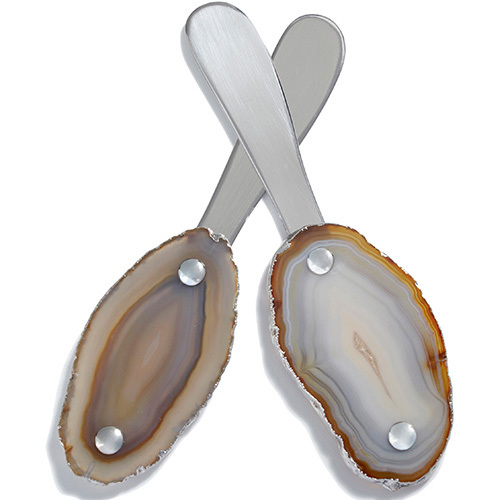 Rablabs fusion spreaders are made from semi precious agate edged in 24k gold OR silver with stainless steel tips. No two pieces are alike. Set of 2.